For the PDF version click here. Prime Minister Netanyahu and AIPAC are not the exclusive voice of Israel and the Jewish people respectively. In fact, a recent poll shows that 60% of Jewish Americans support the Iran deal. 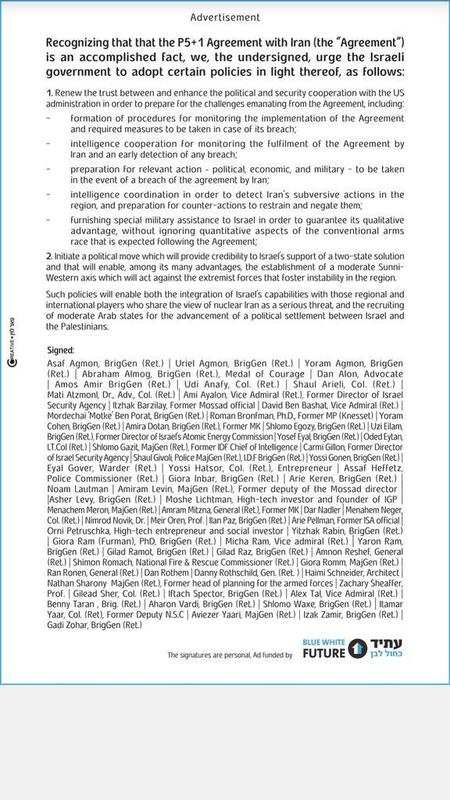 In addition, on August 3, a petition signed by dozens of retired Israeli generals urging Netanyahu to accept the Iran deal for the sake of US-Israeli relations was released. Click here to view the document.